As mentioned here, one of my 2014 resolutions is to stay healthy and be fit. I am not in any way, shape or form trying to lose weight. My goal is to adopt a healthier lifestyle and become more active. We all know diet and exercise go hand-in-hand. You just simply cannot achieve a healthy lifestyle without personal fitness and nutrition. Three months ago, it was not unusual for us to make 3,4 trips to a local grocery store a week and believe me, it can be frustrating from time to time. 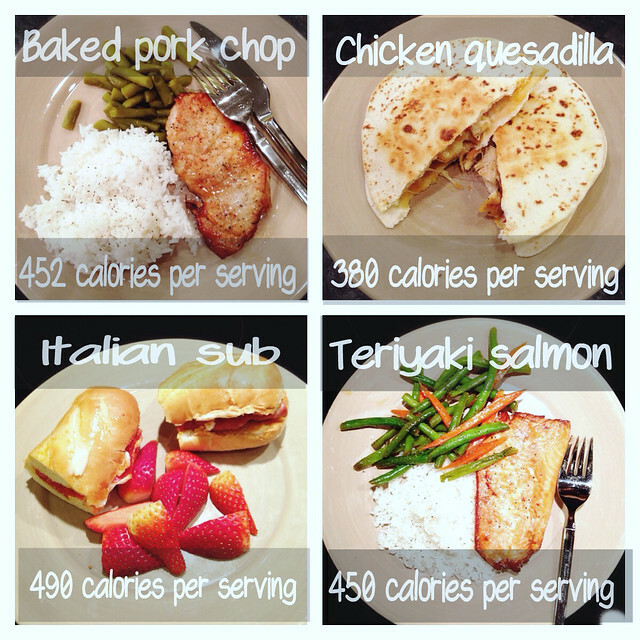 Planning is key when it comes to building a healthy diet. I started meal planning recently and wanted to share a few tips. - Eliminate the question "What's for dinner tonight?" 1. Plan the menu: I usually spend 30 minutes on a Sunday morning and plan our weekly meals. There are a handful of trusty favorites I keep on rotating. A few of my go-to cooking sites are: The skinny taste, The pioneer woman cooks and Food network. 2. Take inventory: I look through my pantry and fridge first to make sure I only buy what I need. I use a free app called "Shop List" as my shopping list. 3. Shop: It’s important to go grocery shopping on a weekly basis. If possible, try your best to only buy what you need. 4. Cook: We try to stick to lean meats (i.e: chicken and fish). They provide plenty of protein, without much saturated fat. I will talk about ways to cook healthy meals in a later post. I use an app called My Fitness Pal for calorie tracking. 5. 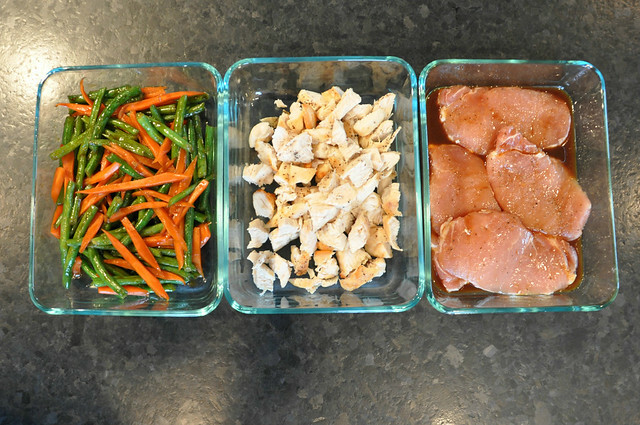 Store: Keep prepared meals in containers to use throughout the week. I'll have to use that grocery app you featured! I always have to email myself my list and I hate not being able to check things off! Your meals look scrumptious, Sydney! What a lucky H! Great post Sydney. I'm a big fan of meal planning myself and I love seeing your meal ideas. The teriyaki salmon looks delicious. I use the "Our Groceries" app because you can sync your list with your husband so if he uses up the last of something, he goes into his phone and enters it and it shows up on your list too. Very convenient for keeping track of what we need in our house! Awesome tips! I totally have to meal plan, too, before I go to the grocery store, otherwise how will you know if you've gotten everything! 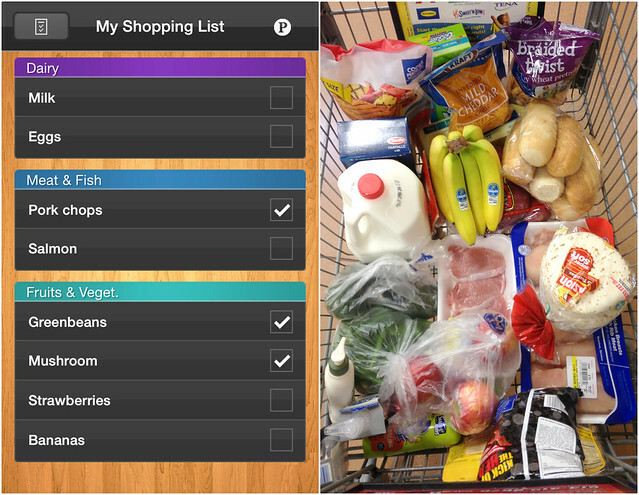 I hadn't heard of the Shop List app before - thanks so much for sharing! Wow, you even know the calorie count? That's impressive! I tried out the app you suggested today. Pretty neat! I like that I can use the categories and enter an amount. Meal planning for me is usually come up with 3-4 dinner ideas. I usually do not make lists, I just know what to get based off of what I want to make for dinner. Most of the other groceries are so habitual (oatmeal, yogurt, berries...), so I do not forget stuff too often. But I like the idea of using an app when I have a longer list of things that I am not used to getting. Love this post! I find it fascinating how people grocery shop and prepare daily meals. Love your organizational techniques! Hi Sydney! I'm a new blogger but a long time reader of your blog! This is my first comment, and I cannot agree with you more about weekly meal planning. Like you, I used to go to the grocery 3-4 times a week as well and I always decided last minute on what to make. Ever since I had to adapt a gluten free and dairy free diet, I find that it's helping me a lot by planning out my weekly menu and buying what I need. I cook a lot of Asian food so I will go to the Asian market and the grocery store for my other staples like milk, etc. @Miss Hot Couture Hope you enjoy blogging so far. It takes some time for meal planning but saves so much time and money in the long run. These are some pretty great tips Sydney.